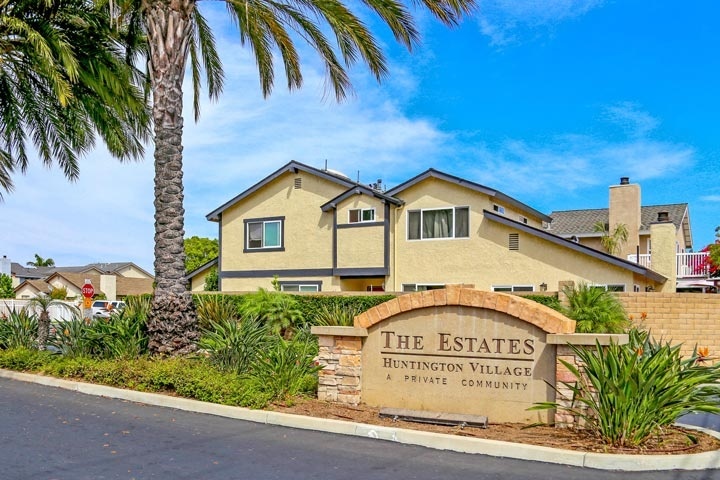 Huntington Village Estates homes are located in the West Huntington Beach area of Huntington Beach, California near Talbert and Beach Blvd. Huntington Village Estates is a quiet and private community of 61 homes that features street names based off female first names like Sharon and Lori Drive. The community has a nice association pool, clubhouse and tennis courts with monthly dues that average $150.00 a month. Huntington Village Estates homes rarely come on the market and the current homes for sale and for lease are featured below. Please contact us today at 888-990-7111 with questions regarding this community and any of the homes listed for sale here.